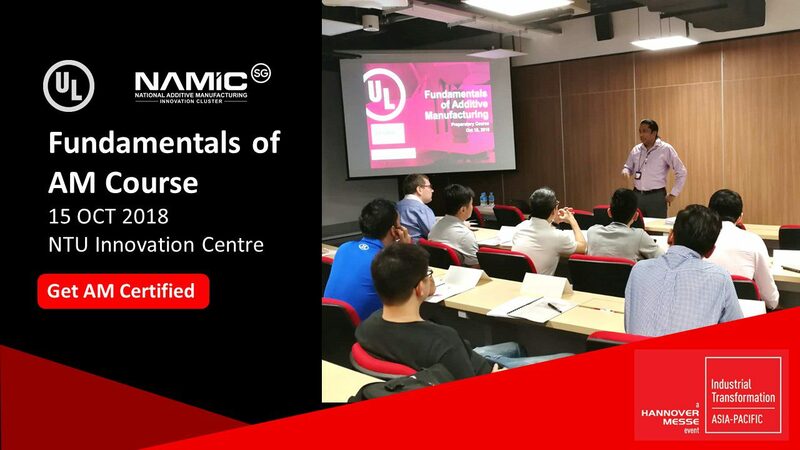 13 participants signed up and benefited from the UL-NAMIC Fundamental of Additive Manufacturing Course that included the recommended prep course and seated certification exam. It covers the terms and definitions, software and hardware as well as discussion on applications and case studies to understand the benefits of 3D printing. It was conducted on 15 Oct at NTU Innovation Centre and held in conjunction with the Industrial Transformation ASIA-PACIFIC 2018, a HANNOVER MESSE event.